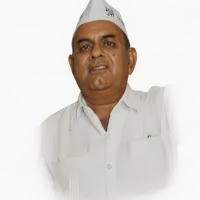 Aam Aadmi Party had declared Baljeet Singh Maan as the MLA candidate for Delhi Assembly Elections 2013 from the Narela constituency. Below are the some of the details about Baljeet Singh Maan. Assets Ancestral property, One plot each in name of wife and son. Baljeets Singh's father was a soldier of Azad Hind Fauz (Indian National Army in 1942) who went missing in 1942 for 6 years while fighting in 2nd world war. Indian government also recognized him as a freedom fighter. Baljeet Singh was earlier associated with BJP and also held post there at division levels. In 2004 he left BJP after not finding his interests aligned with those of BJP's and parted his ways from active politics. When Sri Anna Hazare called for nation wide movement against corruption Baljeet Singh actively became a part of the movement and has been an active member since then by participating in various protests for the people.